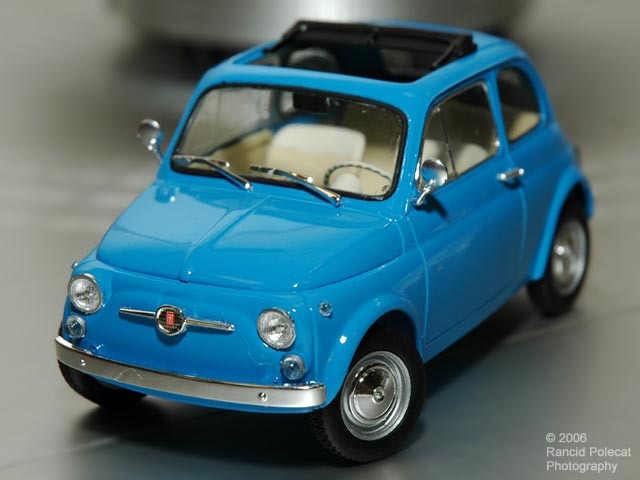 In a recent survey, Britain's Top Gear magazine recently named the Fiat 500 The Sexiest Car in the World. But that's not why Chuck built a model of it. He built this model to save his model kit collection. It's been quite some time since he last completed a kit and he says his wife began eying his collection for disposal. He had to break his building slump, and quick, if he was going to shatter the impression that he'd abandoned them.